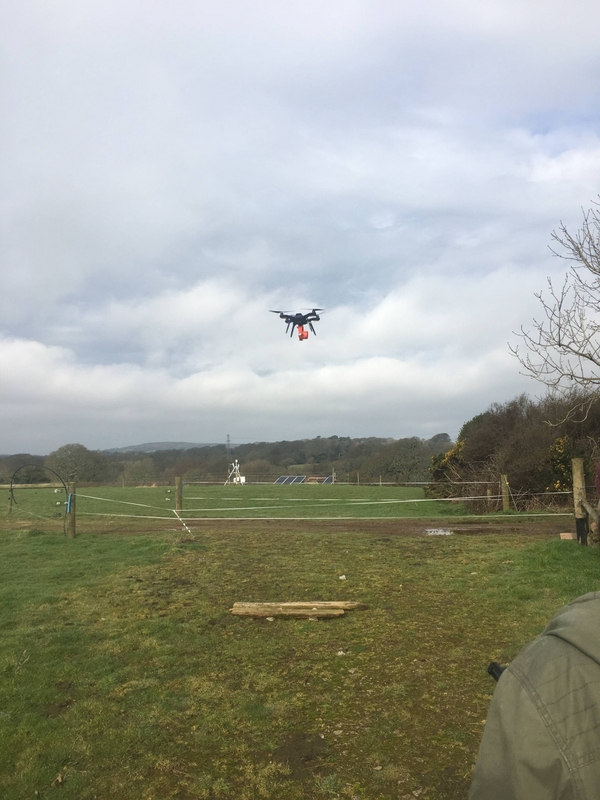 The first SArONG drone fieldwork was carried out in February 2017 in our drone test site on a farm in Cornwall, UK. The aim of this first fieldwork was to assess the accuracy and precision of the drone’s upgraded GPS and compass. We also wanted to evaluate how the custom camera mounts and expected payloads would affect the handling and stability of the aircraft. Several test flights were carried out each using different batteries at different altitudes, wind speeds and with different payloads. From an initial review of the data (for example, please see the histogram of GPS data), the drones GPS exhibited a low bias and has a higher accuracy than the manufacturer states. These data have also allowed us to assess the accuracy of the drones 3 on-board compasses. The aircraft was stable in flight with all of the different camera mounts and payloads that we tested. The next fieldwork is planned for April when we plan to collect our first set of glitter data over an estuary. Copyright © 2019 SarONG – Science of Ocean Glitter. All rights reserved.